Texcraft's wholesale motor base products are quality components of our distributor’s motor products and services. Texcraft’s wholesale motor base products are quality components of our distributor’s motor products and services. Texcraft motor base company is located in the panhandle south plains of West Texas. This provides Texcraft the unique opportunity to service all states north, west and east of the Great State of Texas. 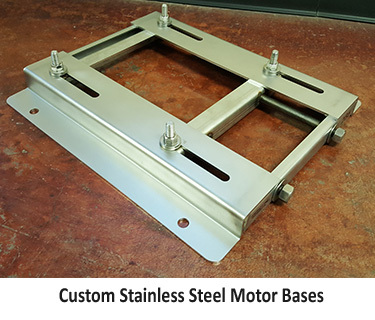 We specialize in both single and double adjusting NEMA frame Motor Bases. To better meet our distributor’s needs, we maintain a full stock of standard size motor base products. 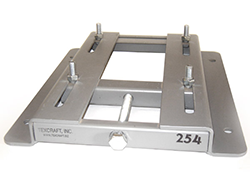 We also fabricate, to order, many heavy duty, single slide and rock crusher duty motor bases. 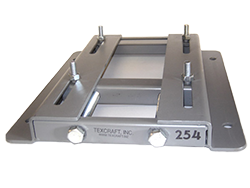 With 39 years of experience manufacturing electric motor bases, Texcraft is a great place to meet both your standard NEMA frames as well as your special application needs.